Today on the blog, we have an exclusive interview with Pen and Sword author D.P. Graham. D.P. Graham has a background in research and is a qualified historian. He has lectured on various aspects of the seventeenth-century Irish Military establishment, as well as its development in mainland Europe and the Wild Geese Irish exiles. His new book, The Irish Brigade 1670–1745, is available to preorder now. How did you become interested in studying Irish troops? I started writing late in my career, though I had always had a strong interest in early modern history. Starting with the Jacobite War in Ireland, I fell in love with the period and began to explore the lives of some of the lesser known events and personalities. There was a strong connection with the French and after learning about the ‘Wild Geese’, I became fascinated with their story. I also grew up in Northern Ireland at the height of the troubles. That creates an interest in your own history, but more pertinently, a need to understand why and how we arrived at where we are at. That is not to say that the book deals directly with those issues – but the core of Irish history revolves around internal conflict – especially so in the early modern period, and within this story we see the events that lead to decisions – both good and bad. I’ll touch on this point later, but we see the real ‘Game of Thrones’ played out here. It came to me late in the process, but the Irish troops’ story, and their part in the 50-100 year focus of the book, would make an epic screenplay (working on it now…ha). What are the major themes of The Irish Brigade 1670–1745? At its most simplistic, this is a story of the Brigade’s evolution, development through the period’s wars, and ultimately its threat – which in tandem with the risk from the French, would propagate a reaction from a fledgling British empire which could ill afford another crisis over its throne. These troops came together under the most difficult circumstances in British history and were in themselves an anachronism, who would later become an intrinsic part of Stuart attempts to retake the English throne. The younger me might have said battles of course – the black powder era evokes such drama; but actually it is the relationships, friendships and events that make the difference. 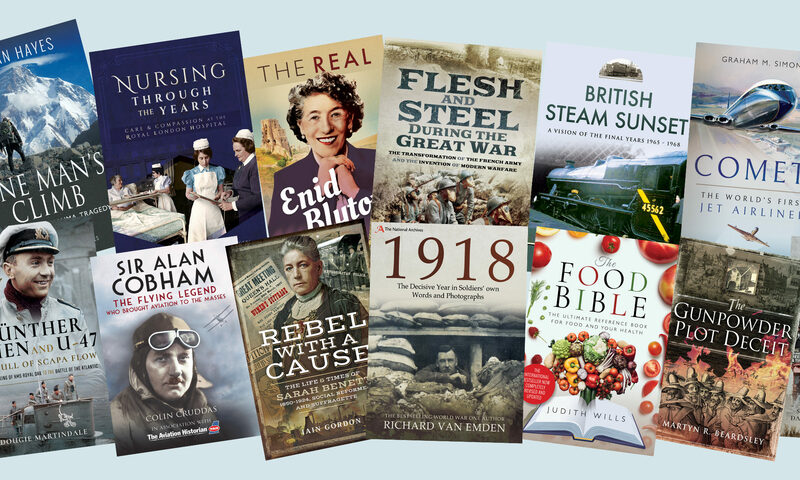 My fascination with the period, and history in general, stems from trying to get into the heads of the main players, trying to understand their decisions – made at the time, their allegiances, their understanding of events. In some cases, it’s easy to imagine these notables as simple political ‘survivors’, but then you come across a point of honour, or wonder how these men remained loyal to a doomed cause, and it makes you consider perhaps how shallow modern society has become in many respects. It’s fascinating. The depth of influential actions that occur, and yet are forgotten. There are turning points in the book, where, if a different action had been taken at a critical time, what we understand today with regard to the United Kingdom would have been very different. Aspects of subsequent history would have played out in a radically altered manner. Those little things, those mere aspects of one man choosing one side or another, could have been so different, and affected the England, Scotland, Wales and Ireland(s) that we know today. Irish history tends to blinker one side against the other, be changed into black and white terminology that students can use to underpin their assignments, while leaving out the more emotive turning points. So, looking at events purely as a historian is cold and clinical, but there are always events that would drive anyone to tears if you could watch them being played out. This is a very emotive period. I’ve mentioned ‘Game of Thrones’ previously – this is the real game, and there is so much that a screenwriter could work with. We’ve already seen this done to some extent on shows like the BBC’s ‘Outlander’. After the second siege of Limerick, and the effective end of the Jacobite War in Ireland, the ‘second flight’ of Wild Geese were allowed to leave to fight for the French. There would prove however, to be scant room on the ships, and barely enough for wives and families of the soldiers. The image of wives and lovers trying to get on boats to join their husbands, and drowning in the process, or being forced back into the water as they try to hold on to ships, stays with you as you imagine how it would play out in a movie – but of course, the reality is there. I imagine that a modern director could make this scene so emotive that there wouldn’t be a dry eye in the house. There are also love stories of course. Honora Burke, was left widowed after the death of Patrick Sarsfield in battle in 1694. She fell in love with the Duke of Berwick, James II’s illegitimate son and married in 1695. Her death, three years later was something that Berwick never really recovered from . He would keep her heart preserved until his own death. Little things like that are of their time, perhaps even alien to our modern sensibilities, but we understand aspects of Berwick’s thought and grief. Those ‘little things’ are poignant, and make you fall in love with the period and its personalities. Do you feel you have completed your research, or it there more to discover? Oh no, there is more to discover certainly. I’ve focused on a number of key players, but there are influential families and people who can be expanded upon massively. The Dillons for one; Berwick for another – actually the subject of my next book. By exploring these notables, you can find a different take on events. The story is never-ending in that respect. In fact the period itself is largely ignored – but the irony is that it is so very pivotal to where we are today. There is more to accepted history than meets the eye. This is especially the case in terms of Irish and British history in this period, which has been chopped, filtered, retold, watered down, exaggerated or irrationally expounded beyond all recognition, to the extent that the man or woman on the street believes something that isn’t true. In a sense, that’s worse than burning books. That’s what drives me to write. Always ask more of the personalities behind the notables. One of the themes of the book is that much of history is forgotten in the face of what’s acceptable. There’s more to events than that; Mountcashel and the Hamiltons have been largely forgotten in the midst of the tale spun to explain modern Ireland and the British Isles, yet the events surrounding them and the Stuarts in France are critical. Explore the gaps in accepted history, and you find the untold story. That’s what drives these tales. 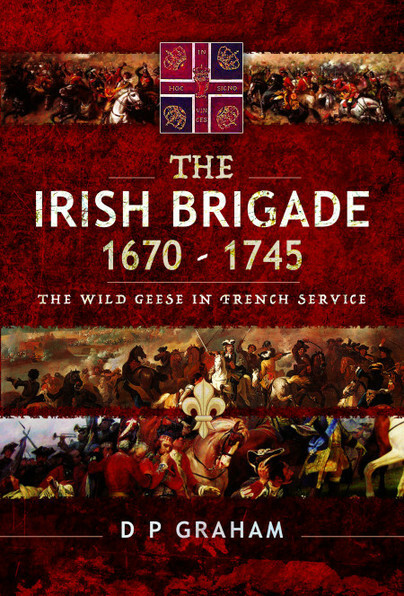 You can preorder a copy of The Irish Brigade 1670–1745 here.